How to setup Business Template (Front Page)? And for Inc Pro click on Upload Theme button at the top. Click on Install button and for Inc Pro choose the zip file of Inc Pro then click on Install Now and activate it. Download the Inc/Inc Pro theme. Unzip inc.zip to your desktop. Upload Inc/Inc Pro theme to /wp-content/themes/. Go to Appearance > Themes and activate Inc/Inc Pro theme from Dashboard. Click on Crop and Publish button then click on Save & Publishbutton. Note: The background effect will only seen if you set the Layout Options > Site Layout option to Boxed instead of Fluid. From this options you can set Site Layout, Content Layout and Post Layout. To set it go to Appearance > Customize > Layout. From this option you can set Fluid or boxed layout for your site. From this option you can set header info bar, hide the social profiles and fluid the the header. To set it go to Appearance > Customize > Header. From this option you can set the header info bar at the top. From this option you can hide social profiles at the top. From this option you can change the navigation text item to uppercase. From this option you can fluid the header section container. This option is visible only if the site layout is set to fluid. From this options you can set the Social Profiles which is visible in Top Info bar as well as in the Footer section. To set it go to Appearance > Customize > Social Profiles. 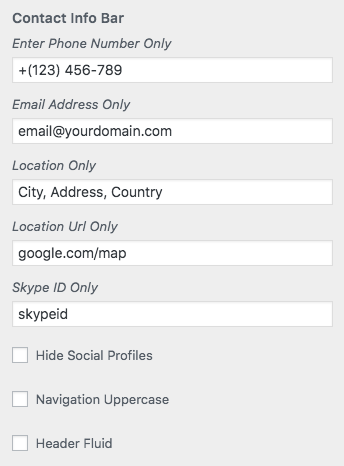 Add the full link to your Social Profiles in the textarea field. Separate each Social Profile link with comma. From this options you can set Slider. To set it go to Appearance > Customize > Slider Options. From this options you can change the slider settings. 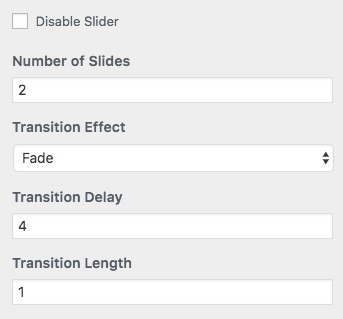 You can set Number of Slides, Transitions Effect/Delay/Duration. From this options you can select the Slider options and set the Slide. From this option you can set the slider via post ID. Now just Add the PostID. 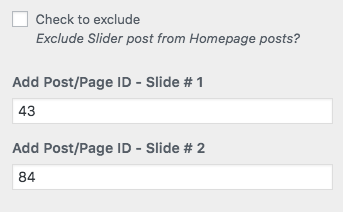 If you need more slide for slider just go back to Slider Settings where you can see Number of Slides option to enter the number that you need to slide then click on publish button and refresh the page. Now you can see more slide option to add the Post ID on your Slider Options. You can show your front-page as Business Template format as in our demo. 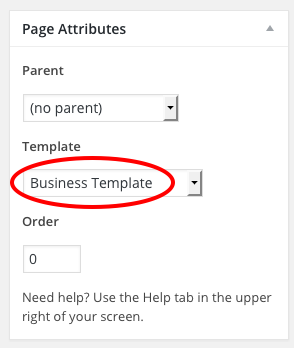 Create a page with any name and set Business Template from Template drop down. We have seven custom widgets especially designed for Business Template TH: Featured/Recent Post, TH: Featured Clients/Products, TH: Featured Page, TH: Our Team, TH: PromoBox, TH: Services and TH: Testimonial. Set the content accordingly as the widget options.